Prepare, paint, and polish beautiful watercolor illustrations in this painting basics class with fashion illustrator and blogger Katie Rodgers, founder of Paper Fashion! This class is for anyone that wants to learn the basics of watercoloring in order to start on their own fashion or illustration projects, but even the most experienced painters might pick up a new technique or two. Grab your brushes and palettes and join! 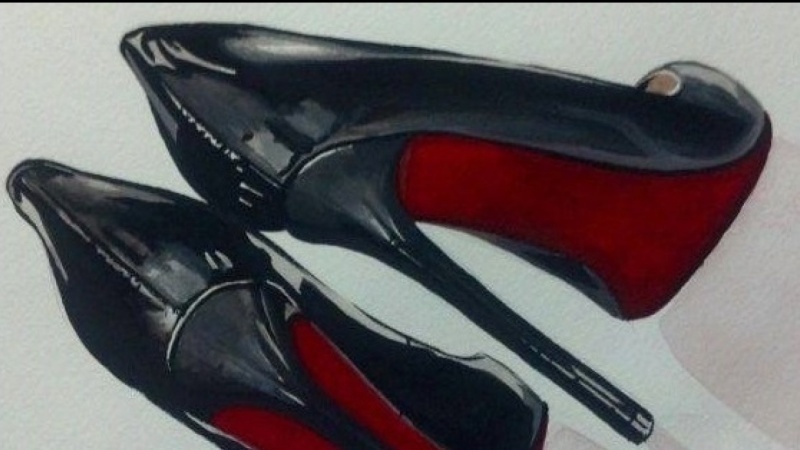 As a way to emphasize the lessons and show off our new skills, we will all be painting a subject matter that has amazing color, texture, and structure (and also happens to be one of my favorite fashion items): SHOES! It takes practice and experimentation to get good handle on how watercolors work and react to different processes. 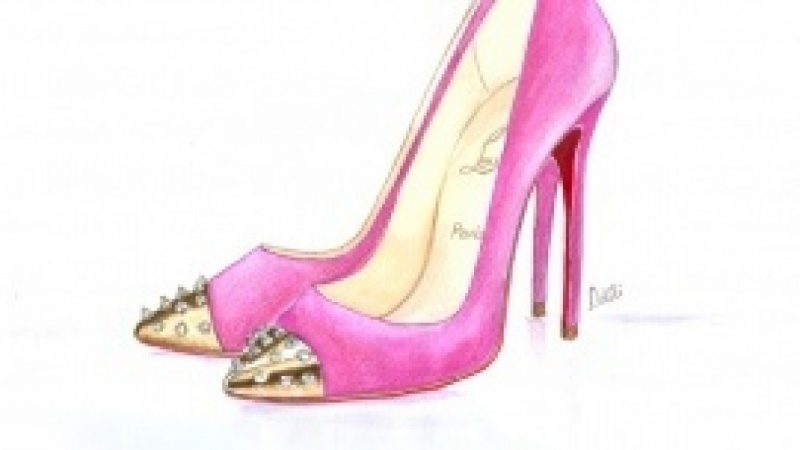 While we won't be going over how to draw shoes (shoe drawing downloads will be available for you to practice on), you will know key takeaways like when to use more or less water, how to use different brushes, and how to make a basic color chart with the paint you have. Illustrating with watercolors. With the help of Katie’s art classes, you will learn how to paint with watercolors and use them to create your own illustrations. She will start with the basics, showing you the tools you need to amplify your creativity process and help you make beautiful pieces of watercolor art. Towards the end of her class, she will move onto more advanced lessons, detailing new techniques to inspire your paintings even further. The importance of paint supplies. In these art courses, Katie will walk you through the collection of watercolor sets that she works with to create her very best art. 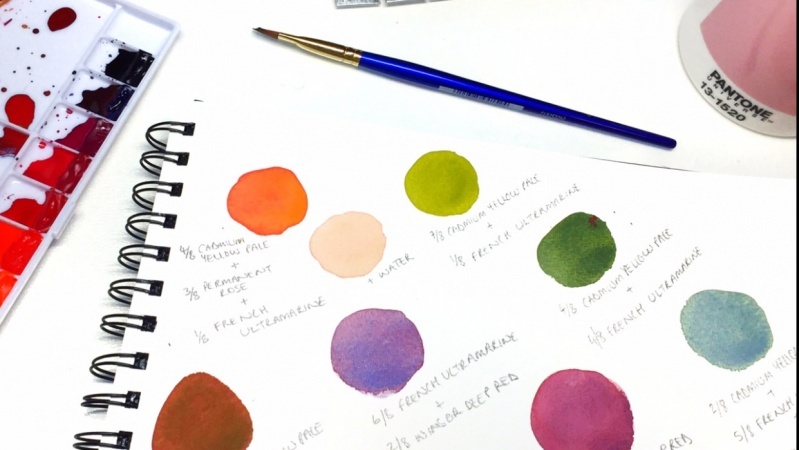 You’ll come away with Katie’s recommendations for beautifully pigmented paints, as well as her secret tips for maximizing their vibrancy and life span. The best surface materials to use. As every true artist knows, paints are only part of the picture! Katie will show you the brand and grain of paper that she prefers to use and discuss why texture matters when it comes to choosing the right paper surface or sketchbook. She will also teach you how secure your paper to avoid tears or warping – a common challenge for artists who work with water-based paints. How to choose your pencils. Katie will describe the types of pencils she uses to sketch her watercolor illustrations. She will explain why and when she chooses a softer lead, and how she relies on different points to get variations in line weight, color, and blend. The brushes that you need. You will explore the wide range of brushes that Katie works with, from pin-stripers that create fine details, to angular brushes that create wider strokes and fan brushes that conjure texture. She will demonstrate the types of lines that you can create with each brush, and how to use them to create patterns or solid washes. Professional color mixing. Artist courses aren’t complete without a little color theory. In Katie’s lesson, you will learn how to take basic primary colors and mix them together with water to make gorgeous hues of any shade. She will share her tricks for creating very light colors, multidimensional grays, deep jewel tones, and washed out pastels – and will include a surprising way to create only a “hint” of pigment wherever and whenever you need it! Painting from real-life inspiration. 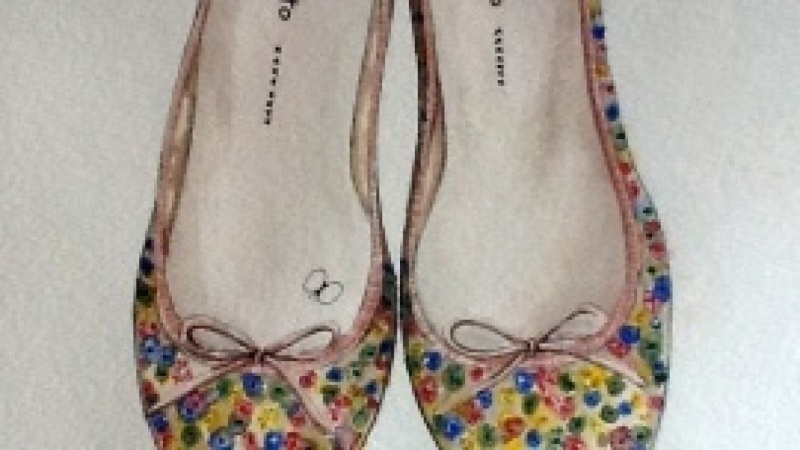 Depicting shoes as a departure point, Katie will walk you through how to paint watercolor textures of all kinds, from suede to patent leather to sequins. 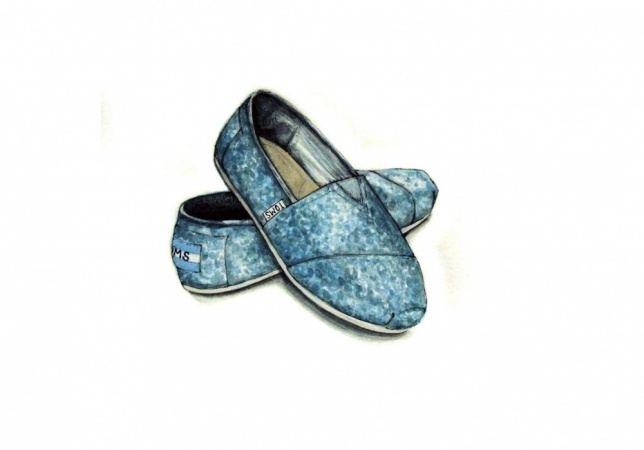 You’ll download Katie’s premade shoe sketches, or create your own and then follow along as she teaches you different techniques to bring your watercolor works of art to life. Advanced watercolor techniques. Once you master the basics, Katie will show you how to use watercolor and household items, like salt and paper towels, to bring out new texture, pattern, and composition in art that you create. Katie will end her class by demonstrating how to paint with watercolor on prewetted paper to add extra movement and interest. 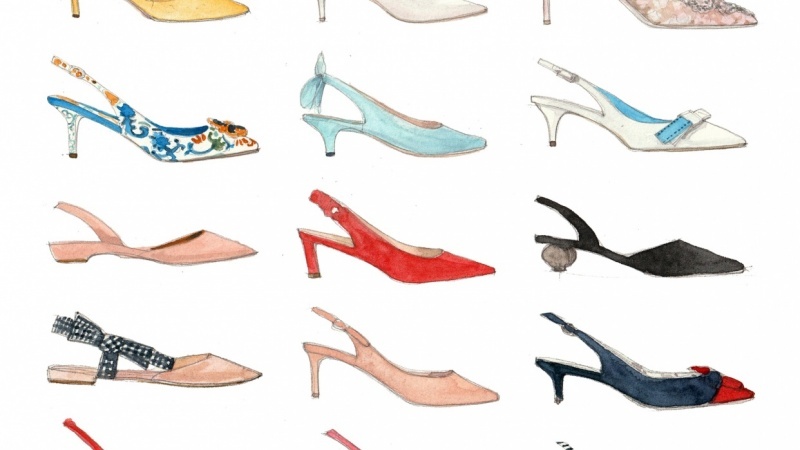 Illustrate your favorite shoes using watercolors.